For increasing the economical level of this city a lot of factories have been set up in this area. These factories mainly work to produce the things that have very dangerous gases as their by-products. Such factories do not consider much about the environment amd exhaust such gases in the air. These exhausted gases are really harmful for the people and the plants of the area. Moreover, the solid and liquid waste products produced in such factories are washed into the waters surrounding Islamabad that causes a lot of water born diseases to the people. Does not place any new plants in place of the uprooted or cut ones when they are cut for some developmental cause. Do not check for the malfunctioning vehicles and cars. No check om the factories that throw their by products in fresh water. Does not implement any strong rules to deal with the careless people. The waste coming from the hospitals is too dangerous. It is filled with viruses and bacterias that can cause a lot diseases to the people. For this reason, it is imperative for such waste to be treated before it is disposed off. To the ill fate of the residents of Islamabad most of the hospitals of Islamabad do not at all consider this fact and dispose of this waste without treating it. Moreover, this waste is not disposed at the right place that adds much to the misery of Islamabad’s People. Mostly the people do not care about the environment that surrounds them. People without giving any thought throw their garbage in the streets that in turn gives out the bad smell and causes a lot of diseases. Moreover, it helps the insects and mosquitoes to reproduce more. Plants are really important for the environment to keep it clean and fresh. The green plants give out oxygen that is used by the animals. Moreover, the plants help to keep the temperature of the place normal, they fight the heat. In order to build roads and new buildings in the city great number of trees have been cut down. 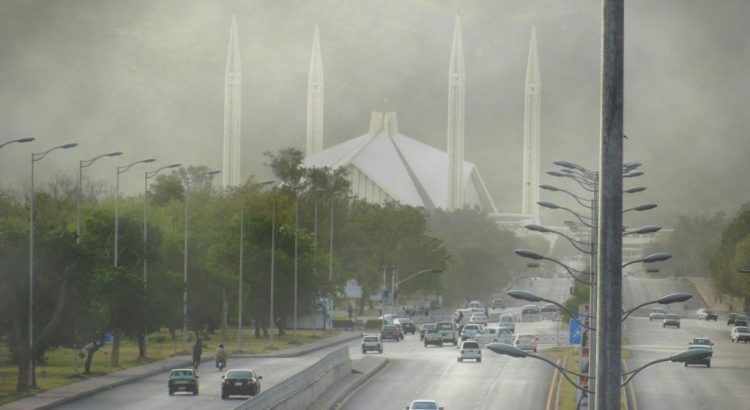 Because of that, much of pollution has increased in the city that is gradually impacting the health of the people of the Islamabad. With the advancement in the city. The means of transportation has become more efficient and cheap. The vehicles exhaust very dangerous gases that mix up in the air to cause air pollution. Moreover, as Islamabad is an hilly area hence the cars get weary in short time and give out black smoke in addition to other exhaust gases. Mostly, the residents of Islamabad do not get their cars repaired and leave them to add pollution to the environment.